Sunday afternoon – back to the Severn Valley Railway. I’d seen Metropolitan Railway No.1 on Friday, in action further north – but it was bunker-first up the bank at Eardington, and just drifting down again. 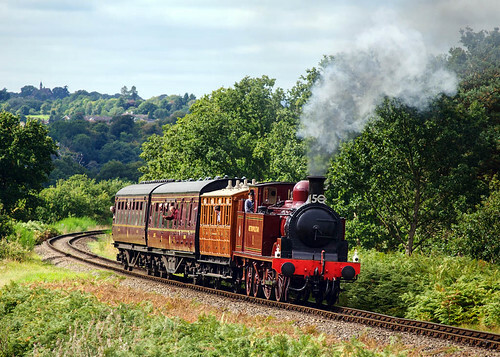 Here it’s working well on the gentle climb from Bewdley to Foley Park Tunnel – and the right way round.